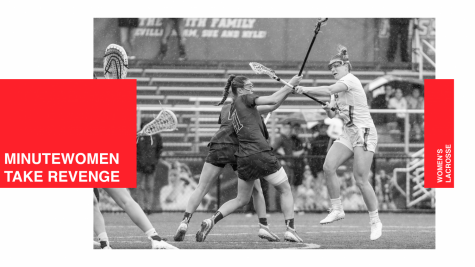 With the regular season coming to a close, and the Massachusetts women’s lacrosse team at the head of the Atlantic 10 conference, the Minutewomen should have a good chance at making the A-10 tournament. 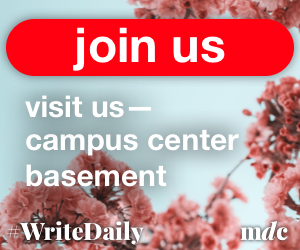 But before it can even start thinking about the tournament, UMass (7-7, 4-1 A-10) has a pair of games this weekend against Saint Joseph’s and La Salle. In order to win these two contests, the Minutewomen will be relying on their defense, home-field advantage, and overall team morale. 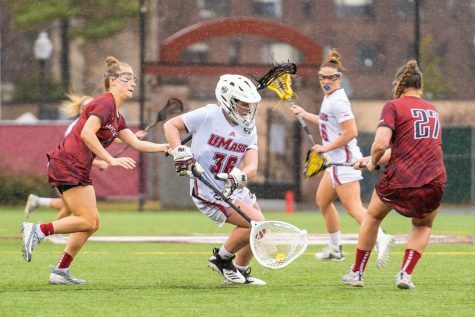 Over the entirety of the season, UMass has relied on its heavy defensive side in order to win. This will be no different against the Hawks (2-12, 0-5 A-10) and the Explorers (7-6, 3-2 A-10). 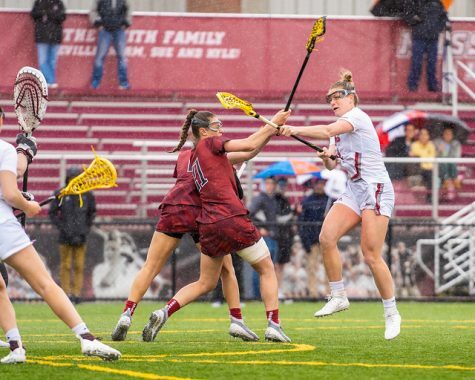 For the game against St. Joseph’s, the Minutewomen might have an easier time defending the back of the net, as the Hawks rank eighth in the conference in goals per game. 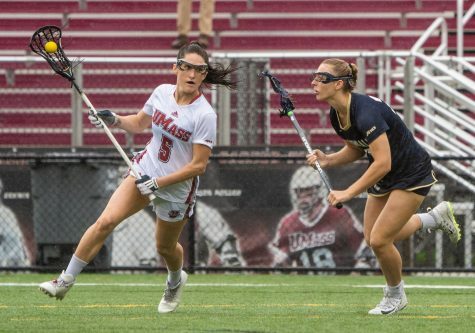 Coupled with that is SJU’s also last-place standing in draw controls, which UMass has always stressed as a key component to its offense. 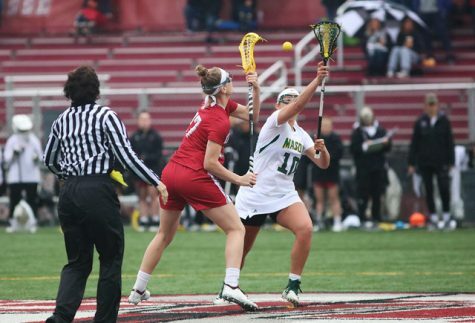 While defending the Hawks’ offense may seem like a simple task for the defending A-10 champions, the Explorers are a different story, as they rank above the Minutewomen in goals and groundballs in the conference. 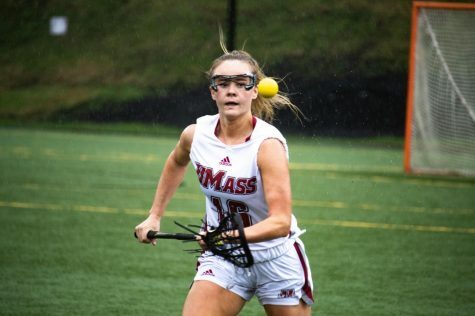 Physical play was evident in UMass’ 11-6 victory over St. Bonaventure last Saturday, as the Minutewomen committed 16 infractions and earned three yellow cards. UMass will meet its match in the game against La Salle, as the Explorers rank second in the conference in fouls per game. 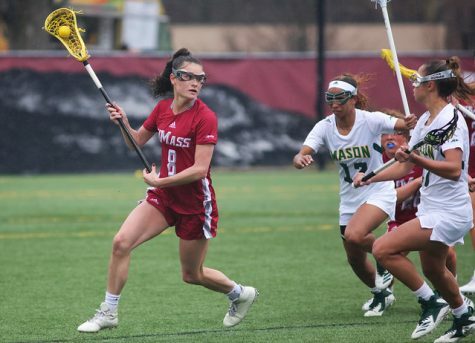 The Minutewomen will also have to be careful of La Salle’s scoring ability, as it ranks two spots above the Maroon and White in the A-10 in total goals. “We need individual stops, but as a whole, we’re going to need our defense on the same page,” Venechanos said. 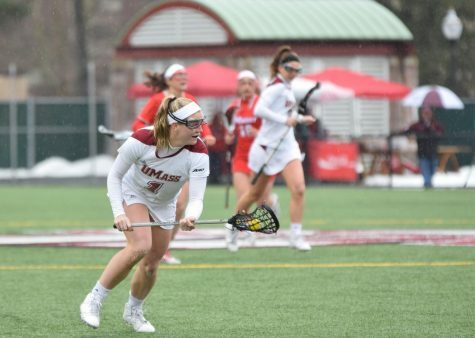 After a four-game home stint followed by a six game road affair, UMass returned home with a victory this past Saturday as part of its concluding three-game series in Amherst. The Minutewomen are 4-4 at home this season, with one win coming in conference. 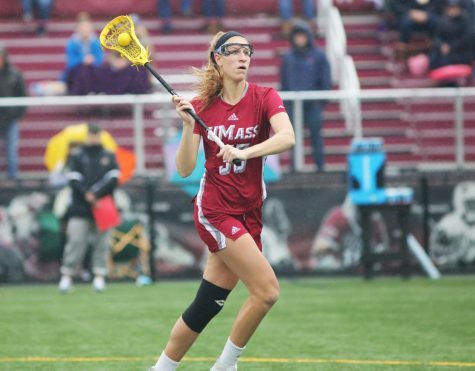 Last season, UMass went 5-2 while playing at McGuirk Stadium, which included a victory over then ranked No. 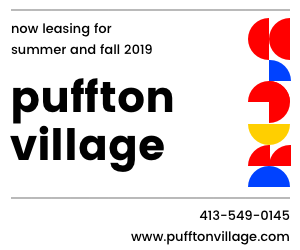 13 Dartmouth. 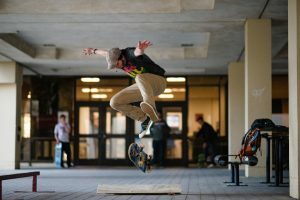 Venechanos is excited to be finishing out the season in Amherst. 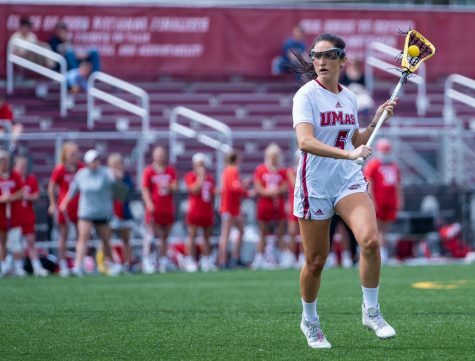 With the Minutewomen at the head of the A-10 conference, a sure target has formed on the back of each player that wears a UMass uniform. But these targets don’t seem to be bothering the team, according to Venechanos.